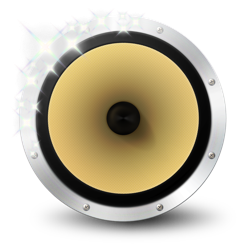 BitPerfect is a simple, easy to use, audiophile grade music player that works in conjunction with iTunes to deliver the highest possible sound quality. Requires OS X 10.8 or higher. Full memory playback with triple-buffering to ensure continuous playback of large files. Choice of sample rate converters for up- and down-sampling. Dithered bit depth reduction and volume control. Support for iTunes "sound check". Integer Mode playback - on supported DACs and supported versions of OS X (requires OS X 10.9 and above). Support for AirPlay (requires OS X 10.8 and above). Icon design by Doug Stewart (designbyadmiral.com). Now requires OSX 10.8 or higher. What a huge leap in iTunes sound quality! When my wife came into the sound room she was asking if I had purchased a new component. It was nice to say that the change she heard was coming from an under $10 purchase. I became aware of BitPerfect while reading a column in Paul McGovern’s (owner of PS Audio) blog. 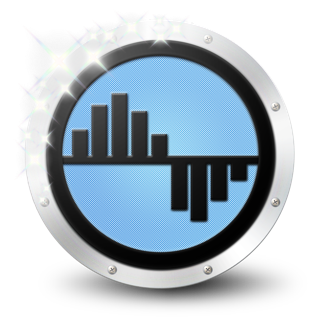 Wow I thought music produced by my system sounded good but once I added the BitPerfect application, I was in audio nirvana. The changes through my electrostatic speakers was way more than I expected - much improved soundstage in depth, transient response, and musicality. I tried a much more expensive player several years ago and must say that BitPerfect hits a homer! I am using it in Integer mode and understand that the application is a” hog" but it is worth the trade-off. Since my iTunes is stored on a NAS I make sure to disable BitPerfect when it is not in use so I can do other functions on the NAS. Kudos to the developer…thanks for allowing my system to “sing” musicality! Bitperfect is great if you want to use iTunes to play back your DSD files over a DSD capable DAC. Unfortunately, it’s only 1/4 of the product. You also need to purchase the much more expensive DSD Master to achieve this. This also requires re-processing all your files to “hybrid-dad” files. The downside? Well, for me, many of the converted songs were not recognized by bitperfect as DSD. They would play back as PCM. I tried to get support for this, but after an initial answer and uploading some sample music files, I was never answered. Now bitperfect is also randomly crashing during playback. Not just for DSD files but for ALAC files as well. I finally gave up trying to use it. I updated my previous five star review to reflect these changes, and my review suddenly disappeared. I have since discovered Audirvana, and my search ended immediately. It handles my lossless files (all tyes) easily. It supports AU plugins (EQ, etc. 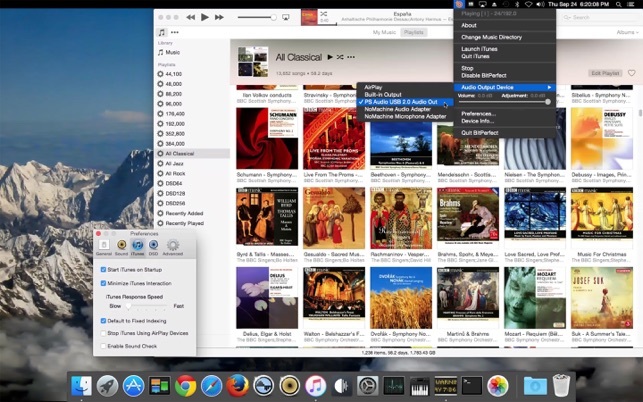 ), and many other features, and it also integrates directly with iTunes. I keep hoping there will be a bitperfect update that will fix stability issue for me, at which time I will update my rating again. This app does one fairly simple thing, but it does it surprisingly well. Despite all the verbiage on the developer’s website, basically this app just matches the sample rate used by iTunes to the sample rate of whatever music you have, preventing resampling before music gets to your DAC or sound card. It gets the little details right. For example, if it can’t access a track, it lets iTunes play it at whatever sample rate you had set before it started. When it’s not doing anything, it resets the sample rate to default, like it should. It also offers a few useful options, e.g., it can invert polarity for all tracks or just for tracks you specify in iTunes comments.